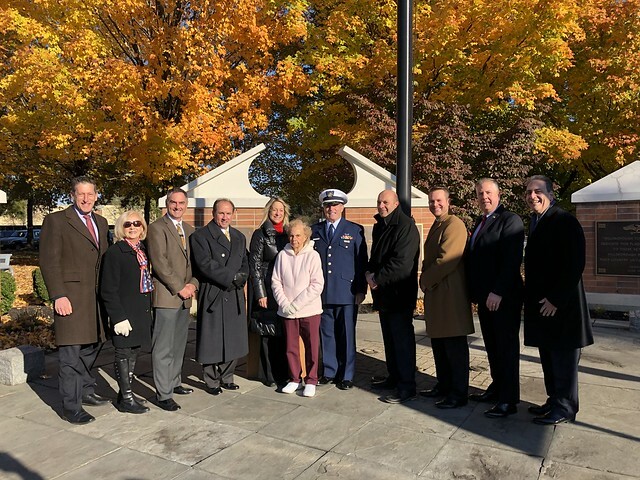 Mayor Gloria McCauley and the Township Committee honored Hillsborough Veterans at the 10th annual Veterans Day Ceremony, held in the Garden of Honor at the Municipal Building. 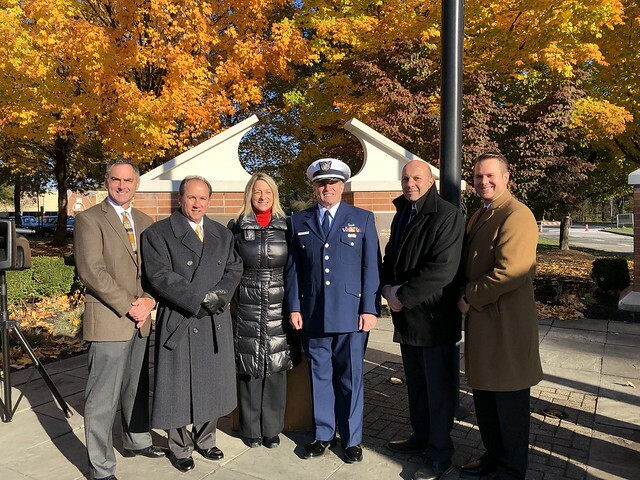 Veterans, their families, and local dignitaries were all in attendance along with the family of Veteran Charles H. Kennedy, whose name was recently added to the World War II memorial. Roy Horowitz, a third generation Veteran who served in the United States Army from 1981-1987, was the Military guest speaker. Veteran Roy Horowitz attended Rider University on an ROTC scholarship. After graduating, he did tours of duty in Germany and the United States, earning numerous awards and citations, including the Meritorious Service Medal. Mr. Horowitz has been a member of the United States Coast Guard Auxiliary since 2016, is a volunteer firefighter with Hillsborough Fire Company #3 and is employed by Somerset County Office of Emergency Management as an Emergency Support Specialist. Mr. Horowitz’s grandfather served in the Army during World War I and his father served in the Army Air Corps during World War II. 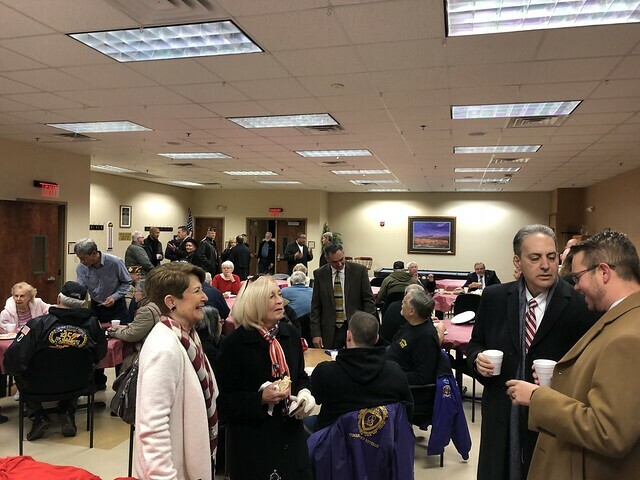 After the outdoor ceremony, Veterans and their guests enjoyed breakfast in the Peter J. Biondi Building. 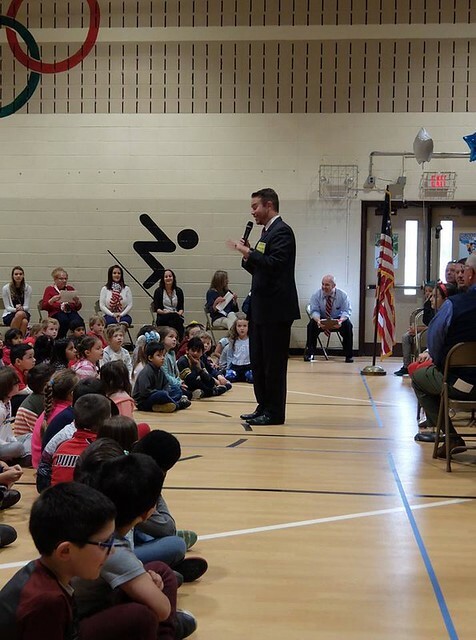 In addition to the Township Veterans Day Ceremony, schools throughout Hillsborough held ceremonies to honor our veterans. Mayor Gloria McCauley and Deputy Mayor Doug Tomson made stops at Woodfern Elementary School and Triangle Elementary School to show support for our veterans.